90 lb. 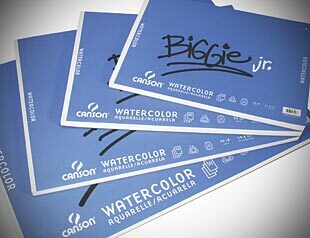 watercolor in a new, economical size that is ideal for those using lots of paper, including students, hobbyists, or for trial and impulse purchase. Together this new series of straight line and circle cutters provide a perfect all-in-one workstation for your scrapbooking needs! Self-healing mats and unique, strong magnets for holding paper in place for precise cuts every time. 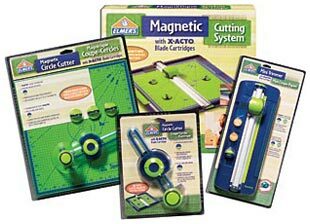 Detachable and replaceable blades are available to allow for a variety of useful and creative cuts. 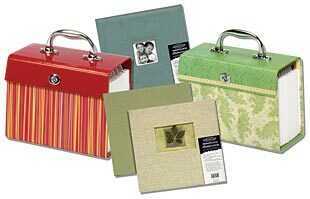 Archival Boxes, museum quality storage units for carrying and organizing memory album supplies such as photos, die cuts, expandable compartments. Available in a variety of retro prints, trendy colors and elegant styles. Photo Albums are acid-free and postbound. Includes 20 top loading pages. Screw posts allow pages to lie flat. Additional pages can be added. 12" x 12". The Pentalic A La Modeskin Traveler's Pocket Sketch books are economical, ecological and practical for artists, students, list makers and note takers everywhere! Acid free, recycled 60# / 100 gsm cream colored paper is perfect for writing or sketching with pencil, crayon, charcoal or pastel. 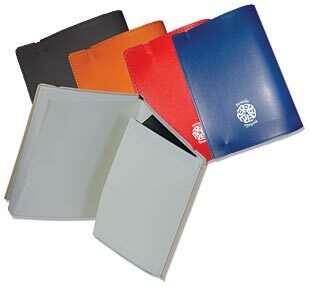 4 color choices: black, royal blue, orange and red; and 3 sizes: A5 5-7/8" x 8-1/4", A6 4-1/8" x 5-7/8", and A7 2-7/8" x 4-1/8". The Pentalic A La Modeskin Traveler's Pocket Sketch books are perfect bound - stitched in sections for lay flat writing or sketching ease and have 160 pages per sketch book! Each traveler's pocket sketch book also has a ribbon page marker and an elastic closure to hold the waterproof cover closed.